Sorry again for the delay in this post, but my 486 at home crashed again and I’m trying to repair it – hopefully, without burning the valuable motherboard. 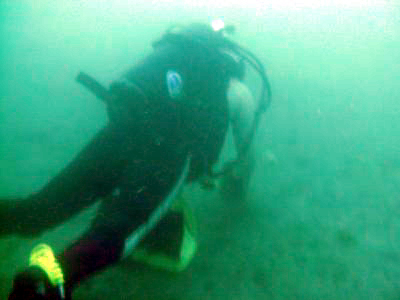 The plan was to clean the trench that is a few dozen yards South of the pier. 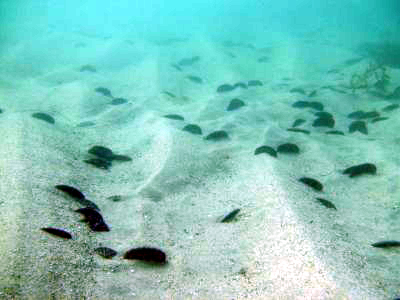 That area is basically where all the half dead fish go to die – last year we found a lot of trash and fish skeletons. If a piece of trash was something’s home, we left it alone. We did such a good job cleaning last year that, aside from a hand full of plastic bags and a bucket, there wasn’t much trash this year. 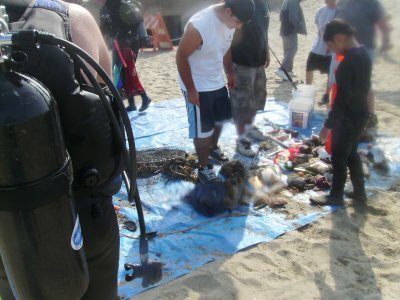 This was just another typical, uneventful Redondo Beach dive, but looking for trash and not looking at trash. We had no problem exiting with our heavy bags of debris. The underwater trash pile was fairly small this year. The trash was so exciting, some even video taped the collection heap. My brother promptly grabbed his video camera and shot the above footage. To ease our trauma, one of the divers showed off her tattoo. 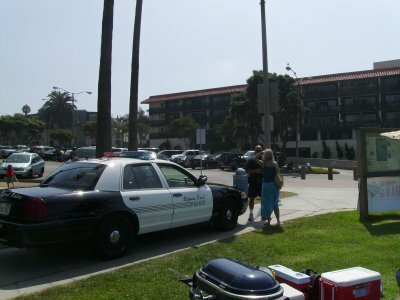 Around noon, the Redondo Beach Police showed up to talk to the Divemaster who found the skull; the Officer did his best to comfort the diver as he gently explained that the skull was made out of plastic! Some say it may have been part of a ritual, I think it was a practical joke aimed at this event. After all, all the voodoo rituals I have seen never used plastic props, and apparently the skull was without sea growth, so it had been tossed in the ocean within the last few days. I doubt it was fake. Why would someone toss a plastic skull, all wrapped up, over the pier? Why did﻿ it take an hour to identify the skull “as plastic?” Why wouldn’t the Police give the “plastic” skull back? 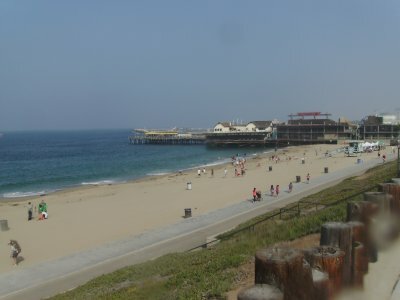 The pier has been affected by the recession, so a cover up of a Mexican drug hit to preserve the business down at the pier would be in order. Plastic, huh? Hey psd, get us some more details on this story, was it fake, a practical joke, or a real human head. 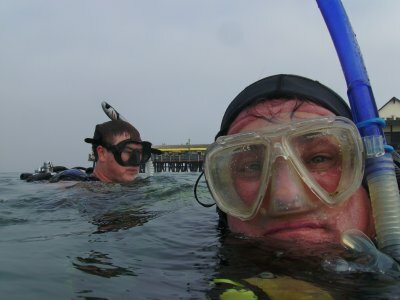 Considering I dive the area frequently, I want to know if we should be looking for human remains. The official Police version is that the skull is plastic. 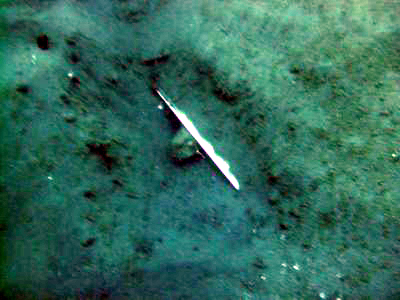 But, look for bodies anyway because you never know what you will find. I think the skull was placed as a joke, personally. LA Times article is here.